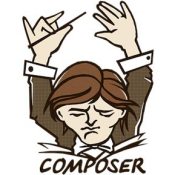 Assuming you already have composer installed, here are the commands you need to run to install a few global composer packages for WordPress development. composer global require "phpunit/phpunit=5.1. *" composer global require "wp-cli/wp-cli=0.21. *"
Add a few lines to your .bash_aliases ( or .bashrc ) file to set a couple environment variables that WP-CLI uses. If you don’t set these variables, then WP-CLI will attempt to use your /tmp directory which you might not have permission to access. I tend to put these files under my home directory. So just replace with your username. Also, we’ll add the composer bin files to the PATH environment variable. Update: At the time of this writing, December 2015, those are the current version numbers for the composer packages. If you happen to be reading this later, you may want / need to update those to the current versions.